Hi Guys, a mate of mine came around this afternoon to show me this 2 pack clear in a can, Dulux Dura Max he does bike rebuilds and some one recommended it to him for resprays on bikes. 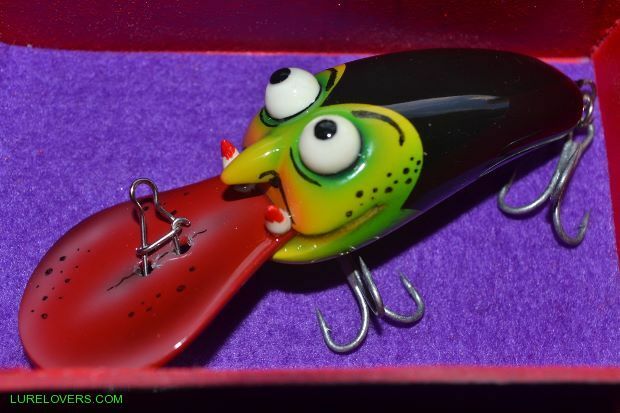 I was just wondering if anyone here has tried it on lures. From what I have read on the internet it might be ok for small batches of lures. Make sure you wrap yourself up-- Their online web site makes it sound like the do all of everything, even the greens would approve. Like most spray lacquers it has it's problems. i'm trying out a spray now. big tip....you must use the PROPER respirator. and even eyewear. most these sprays are VERY bad. I look like i'm at a hazmat site, gloves and everything, but technically, you are. i'd rather be safe than sorry. I just recently became informed on just how bad brake cleaner is. truly scary, especially when you have used it carelessly your whole life. two pacs are especially nasty you can absorb it through your eyes among other things (something i never knew until recently) make sure you use the right cartridge filters in your masks too.when i was doing murals on cars in a panel shop in the 80's the owner was rushed to hospital with breathing problems and it was discovered his lungs were bleeding as a result of spraying two-pacs without a mask.